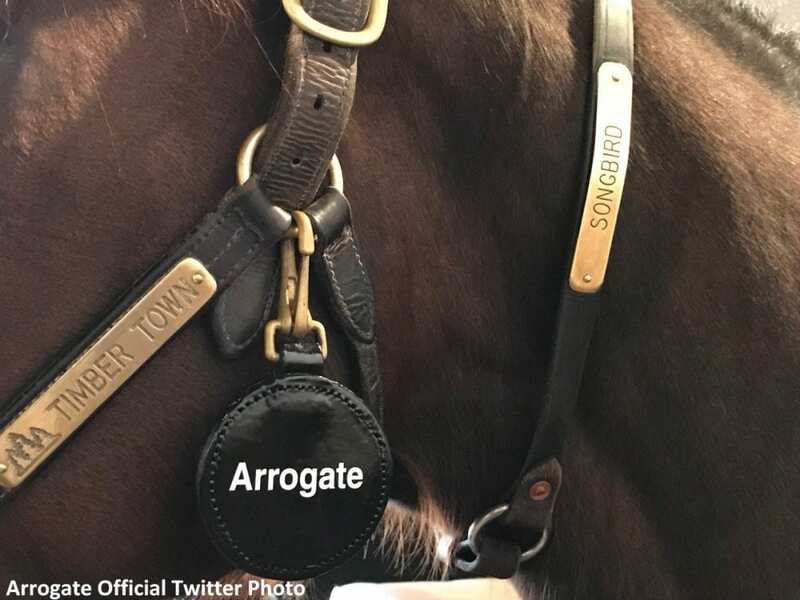 Champion Songbird took a short van ride from Timber Town Stable over to Juddmonte Farm on Tuesday for a meeting with Arrogate, according to the two farms' Twitter accounts. “They were both stars, of course,” reads a post from Timber Town. The 5-year-old Songbird (Medaglia d'Oro) was purchased for $9 million by Mandy Pope at the most recent Fasig-Tipton Kentucky Fall sale, following a career during which she won 13 of 15 races to earn over $4.6 million. If the cover by Arrogate is successful, the resulting foal will be her first. Arrogate, was retired following the Breeders' Cup Classic at Del Mar, in which he finished a sub-par fifth (dead-heating with Gunnevera). The son of Unbridled's Song put together an impressive streak of victories between his three and four-year-old seasons, including the 2016 Travers, 2016 Breeders' Cup Classic, 2017 Pegasus World Cup, and 2017 Dubai World Cup. He retired with earnings of $17.4 million. This entry was posted in Bloodstock, NL Article and tagged arrogate, champion, fasig-tipton kentucky fall sale, juddmonte, juddmonte farm, Mandy Pope, medaglia d'oro, songbird, Timber Town, whisper hill by Paulick Report Staff. Bookmark the permalink.